In an interview with Novaya Gazeta, INSOR Management Board Chairman Igor Yurgens takes a look at political developments on Russia in recent years and shares his views on how the crisis in Ukraine emerged. — It’s difficult to get away from the impression that the country has lost its grip. Crazy and often simply incompetent economic and currency policy, self-imposed isolation, the search for enemies internal and external, fluctuation of exchange rates and price growth, legislators and local officials competing to outdo each other’s zealotry… All of this, which is happening against the backdrop of the Ukrainian crisis and its consequences, create an atmosphere of alarm makes you start to worry about society’s collective health. The sense of chaos is growing, as one decision contradicts another, when what it is proposed as medicine transforms into a potent poison. What is going on? A loss of control, signs of the beginning of a war in highest echelons of power or simply the onset of general pandemonium as the change of orienteers makes it unclear which direction we are headed and what lies around the corner. — Both this and that, and more. Historically I see things as follows. With Vladimir Putin’s coming to power the more or less Western trajectory of the Yeltsin period was continued – rapprochement with the West, the Europeanisation of Russia, modernization of its policies, economics and social life, generally aligning with global trends and by global trends I mean Western trends. From 2000 to 2003 this was in general an axiom for him. And when I say “him” I don’t necessarily mean just him as a person. This also included a certain group of people in power who support him, a group of analysts, mainly from intelligence services who see him as a sort of leader of an “order of the Brothers of the Sword”. 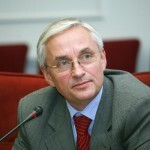 After putting the oligarchs in their place, as it was perceived that they had violated the interests of the state (the cases with Gusinsky, Berezovsky and later Khodorkovsky), he began to “restore statehood” according to the template of a certain group of people, but in a European manner. Then a series of disappointments began. The sensation of Russia’s second-tier status became very strong. Regardless of what Vladimir Putin did, it never provoked an appropriate response in the West. For example, after September 11, 2001, the Americans were given all possible platforms which Russia had always considered its own (I mean the Central Asian states and possible corridors to Afghanistan). The Russian base in Lourdes, Cuba, was liquidated. It was considered the crown jewel of Russian intelligence and counterintelligence, because it could pick up signals across the entire territory of the United States. Then the base in Vietnam’s Cam Ranh Bay, which provided control over all military and other movements in Southeast Asia. In response to all of this he expected two things. First, there would be no military threat to Russia, no destabilization of the balance of powers reached in the Brezhnev period with the United States and NATO. Secondly, the military infrastructure of NATO would not approach our borders. Because for him and for the entire Russian military community any such approach – even as in the case with Latvia its just two or three old Danish fighter jets – is considered a threat. Then sometime after 2005 we weren’t talking about two-three fighters but rather about the fact that the largest American military base in the world was created in Kosovo. Then such bases appeared in Romania and Bulgaria, and preparations were made for the creation of missile defense systems in the Czech Republic and Poland – and that is right up against our borders. Maybe for you and I this is perception of a threat seems excessive. But there are other analytical calculations which have a rather significant influence in the Kremlin and in the country in general. We recently saw how someone who was not accepted by this caste as one of their own got booted out of his job like a cork out of a bottle (were talking about Serdyukov, of course). The country’s leadership supported everything he was doing. But this caste felt uncomfortable. It felt as it did when Khrushchev was in power: if you recall the massive cutbacks in the Soviet Army were one of the reasons for his ouster. Incidentally, this caste also felt uncomfortable in the late Brezhnev era: it formed a group and appointed Andropov. So this caste cannot be ignored, and Vladimir Putin understands this very well. Now let me discuss what I saw myself and what I had a more direct relationship to. In 2005 I was offered to head an analytical center, which then was called RIO Center. In 2006-2007 discussion began on the transformation of the center into the Institute of Contemporary Development, and it turned into the analytical center of Dmitry Medvedev. All of my friends were saying back then: “Why Medvedev? Sergei Ivanov is the real successor! He’s got a much more powerful support group headed by Nikita Mikhalkov, and there are a lot of other serious people behind him, including oligarchs.” And I told them: “You know, what I was offered first of all provides me with a lot of freedom and, secondly, it better coincides with my worldview. So I was glad to accept.” And I witnessed these “primaries” from the inside. They were organized by Vladimir Putin, who is not one to do something for no particular reason. At least up until the Olympic Games in Sochi he did seem to make hardly any voluntary mistakes. So, he provided an opportunity for that caste which I mentioned earlier to try out their candidate Sergey Ivanov in certain projects. At the same time he gave the modernizers to show their merits in some projects of Medvedev. If you were to ask me didn’t Putin choose Medvedev from the start to sit in the president’s seat for 4 years, otherwise that caste would become too strong and it would be difficult to return – I would say that’s quite possible. But the primaries were quite honest and everyone was given a chance. — Let’s clarify what you mean by “primaries”. This is some tally of the opinions of authoritative people from the elite with regard to the contenders? — Yes, and nothing more. Because we all of course understood that the hour X would come and President Putin would say who he supports, and the primaries would end. But the trial run, the sense of what is needed at that moment evidently made him lean toward Medvedev then. The four years of the Medvedev presidency began with the major provocation in Georgia and the sharp worsening of our relationship with this country and with the West. But we and the West and everyone else were able to get through this period in dignified manner, much more dignified than right now with Ukraine. Despite this false start, some important things happened, like the reset with America and establishment of a relationship with NATO which was practically a strategic partnership. There were 600 military to military events which took place as a part of our military cooperation under the NATO-Russia Council, joint military exercises were held. Also, the Partnership for Modernization was created under which multi-billion-dollar projects were conceived, developed and launched between the EU and Russia. — Those at the implementation stage include the energy efficiency program in the Urals (together with Siemens), Clean Don, Clean Baltic (the waste treatment facilities around St. Petersburg). As a part of the Northern Dimension partnership we were given 1 billion euro to implement the later project. And as a result the water in Petersburg and the coastal areas is far better than it was earlier. There were also plans for a high-speed highways, for example, between Moscow and Berlin, and other infrastructure project costing billions as a part of the Partnership for Modernization. We were very close to harmonization of the technical standards of Russia and the EU. And that slogan which Putin put forward when president and reinforced by Medvedev: “A united Europe is a common European economic space from Vladivostok to Lisbon” – was implemented in practice. Road maps were created with hundreds of people working on this. But it all fell apart. Returning to this disappointment with the West, I would say that Putin and his close circle had a sense of humiliation and betrayal by the West (at least that’s how it was perceived by them). It was as if whatever we do we are always second-class citizens, we are always play secondary roles, we are always told: “No, that’s not enough, that’s not sufficient…” And constant preaching about how we should behave. To be honest, even I, a person who is convinced that we are part of Europe and that we should swallow our pride, make many revisions, address our shortcomings and eventually join the European Union and common security alliances – all of this even started irritating me. This became a particularly strong irritant following the second expansion of the European Union, when the Poles and the Baltic state joined, acquiring the same negotiating status as, let’s say, France, Germany and England. And the foreign ministers and officials of these countries would always start lecturing to the visiting Russian delegation: this is not right, that’s not right. This discontent with the West became particularly evident near the end of Medvedev’s presidential term, when the “Libyan experiment” was perceived as an absolute disregard for all of Russia’s interests. We allowed them to pass a UN resolution to control the Libyan airspace, and then this control transformed into a land operation. Everything that had been agreed upon was ignored. I think that the conversation between Putin and Medvedev was a very tough one: “I told you they would deceive us, and voila!” And all of this was going on when influential security officials were anxious about the firings within their ranks over corruption charges. I think that all of this together became intertwined in a tight knot and spelt the end of the liberal Westernization project. Or at least it meant a serious recalibration of this project. — So did the protests of 2011-2012 play a role in the shuttering of this project? And then the negative reaction in the West to Putin’s election as president in 2012. The critical remarks of Clinton, Biden, McCain, etc., were apparently reported to him. This was the last drop, and then, after Maidan in Kiev, of course a theory emerged which became predominant in the Kremlin: a violent regime change occurred in Ukraine with the support of the West. And if that’s the case, then as I suspect certain forces which as no laughing matter get involved. At the very least this means a search for the “fifth column” but there could be even more serious measures. And anyone could get steamrolled by this, and this seeming chaos which we have right now is being controlled by those who believe that the threat of regime change with the support of the West exists here as well. — What we are observing is similar to the painful swings which are traditional in Russian history: from Westernizing and reforms to the reactionary, isolationism, and them back again. — We have retraced Russia’s path from Alexander I the Enlightened to Nicholas I the Reactionary to Alexander II the Liberator to Alexander III, who put everything on ice. However, in truth, this has been done in such a way that the decade plus of his rule is considered one of the most prosperous periods for Russia. — And at what point are we at right now? — We are approaching the end of the reign of Nicholas II, when after Witte’s resignation and the death of Stolypin the leadership was left with people strongly inclined to peace and the peaceful development of Russia, and an expansionist, militaristic line took hold. Right now we are at a moment when reactionary forces, including the new clubs which have appeared, the ideologues which we considered marginal, have become in favor and received public platforms. This reaction can slow progress, but it is impossible to turn the country back to obscurantism: the march of history will trample such designs, first economically and then politically. You cannot twice step into the river of “Orthodoxy, Autocracy and Nationality”. We at one time lived under the Uvarov ideology and the empire attained certain heights under this slogan, but then it broke its own back. The Soviet Union attempted to travel this same path – only with a proletarian tsar – and it made some unquestionable achievements, but it too broke down. If we do not learn any lessons from history, then this model which we are now being preached will end up trampled by history. But we of course become the temporary victims of this process. — Let’s get back to the Ukrainian crisis and the dramatic shift in our politics. Let’s set aside the moral and ethical as well as the legal assessments – all of that has been mulled over numerous times. I am interested in a more practical question: was there any calculation of the consequences of the “Crimea is ours” move and the interference in Ukrainian affairs? Was the economic price of such a move considered? — I am getting on shaky grounds here with personal conjecture. I think that this conjecture with a certain understanding of the situation. The approach to the Ukrainian issue was such that with a 100% loyal Yanukovych we can get the upper hand with the Eastern Partnership program and Association Agreement with Europe by using economic levers which any Ukrainian can understand and serious aid. The purchase of 15 billion euro worth of Ukrainian euro bonds cannot be called anything but aid. Perhaps you remember that the Western conditions for the sighing of the agreement, which Yanukovych prepared the entire Ukrainian people as a choice in favor of Europe, included the release of Timoshenko and a number of anticorruption measures, which put Yanukovych himself in a very difficult position. And so having come to Moscow for the umpteenth time and gotten the 15 billion, Yanukovych refused to sign the agreement with the EU. In Russia everyone was satisfied: it worked, Ukraine is ours, its joining the Eurasian Union. It was expensive (15 billion plus the gas discounts), but what could be done? However, the miscalculation was twofold. First, the West was not ready to give up Ukraine that easily. Second, someone underestimated the national spirit of Ukraine, particularly among young people who over the course of the last few years were raised in expectation that just one more year and number conditions will be met – and we will be in Europe. And the people than went out on Maidan at first of course were not some fascists, not the Right Sector, but rather people who felt that their dignity had been insulted. And by a group of people who they absolutely did not trust, whose corruption and audacity reached such a level that we could never dream of. The two of them, Yanukovych and his son, managed to pocket the business of practically everyone – corporate raiding to a degree never seen before in history. And then the phobia of orange revolutions and regime change kicked in. To in the middle of such a successful Olympic Games take such a hit, which was immediately presented as a Western secret services operation, was simply unbearable. And then everything got rolling. You asked me about the calculations? The calculation was as follows: “Pride is more important than bread.” And so if we take Crimea then we will forget about the domestic problems, generate an upswing in public sentiment over the return of Crimea and Sevastopol – lands where Russian blood was spilled, were Tolstoy became Tolstoy and where Prince Vladimir was baptized. The calculations? Don’t worry, we’ll do them later, we have $500 billion in FX and gold reserves. Ukraine will fall apart. The West won’t attack a nuclear superpower. We’ll figure it out later. They take Crimea. But a distractive maneuver is needed. The Ukrainian army is not very large of course, but if it is fully mobilized and thrown at Crimea and if NATO and the United States give Ukraine arms then it would turn into a blood bath, which we cannot let happen. So an diversion begins in Donetsk, Lugansk, Odessa. In some places it falls flat, in other places the resistance is real. But the maneuver works. Now we have a situation which might not be a zugzwang but it is very complicated for the Russian economy, Russian foreign policy, Russian military policy, Russia as a whole. For example, those radicals who are going to return to Russia from southeastern Ukraine and do what they recently did to those road patrol officers. These are people who are disappointed and haven’t found a place for themselves in life, who know war well but who do not know how to find a place in the ordinary world. It will require some strategic thinking to find a solution to this situation. I would be pleased if he is up to this. But if he is not? I have my doubts. We have arrived at a very difficult place. — Was there really no expectation that sanctions could follow? That we could lose everything that was achieved over the past 15 years in such areas finance, business and integration with global economic structures? Did someone calculate the consequences of the possible response measures of the West to Russia’s violation of international law and the annexation of Crimea from Ukraine? — Such a calculation was not made, I am absolutely sure of that. Because to do that, you would need to get some expert groups together, as was done for the 2020 and 2030 programs and other strategic projects. The country has approximately 1000 economists who are qualified to participate in such work. The number of those who would certainly have to be asked to for input is much smaller – 150 or so. These are the people who would sit down and do the calculations: what we would lose and at what cost, what would gain, and so on. Firstly, this would take some time to perform and, secondly, I know all of these people, and they were not involved in this. Everything happened very fast and the situation changed dramatically. The West had more opportunities, which is why the sanctions were introduced gradually and were very seriously calculated. And there were at least two different groups – European and American. The American group had a more hardline position while the European was less so. Western business, primarily German business, put up a fight to the end against any kind of sanctions. Up until the incident with the Malaysian Airlines flight. Following that even Germany’s Committee on Eastern European Economic Relations, which basically manages investment in Russia, gave up. Groups of experts worked on the sanctions, and I even have a rough idea of who in particular was involved. These are serious economists and political scientists, which is why the sanctions were calculated in does and at first were largely applied homeopathically. My conscious is clean, because at the very start I said in an article that with a population of 146 million and an economy that, even if 6th largest in the world, produces only 2% of global GDP it is not possible to beat a group of countries whose population numbers 1 billion (the US, Canada, Europe, Japan, Australia and New Zealand) and which accounts for 60% of global GDP – economically it just does not pan out. So this leads to the conclusion that no strategic calculations were made.